Cool down this summer with this double lane water slide! 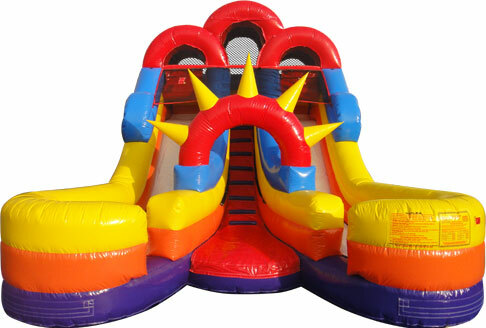 This 16ft tall slide is perfect for backyard parties! This is a dual lane water slide with splash areas.